I guess you do not need to explain what an eclipse but I’ll try to do quickly. An eclipse happens when a celestial body is placed between the other and the nearest star, preventing the entry of light in the second body. Eclipses come in many types, not just those who make the news (come on typical Moon, as the image) but all bodies suffer from them. 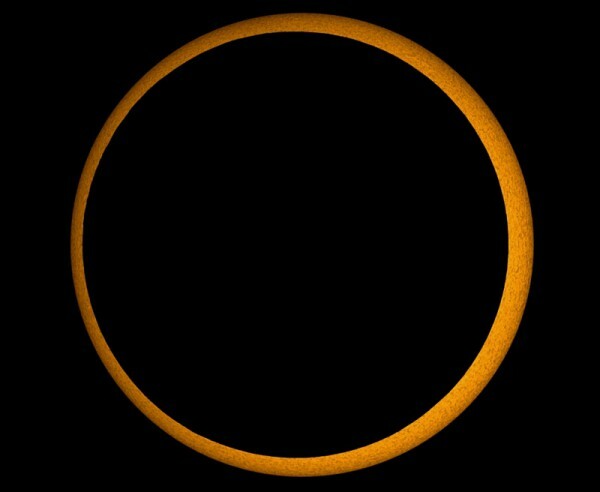 The curious thing about an eclipse is not the fact itself (which is already quite curious, like we have with the moon and sun that coincidentally the size of the Moon and the distance makes it a “coronary” eclipse, we will only the Sun’s corona) is but to scientifically serves. Quickly, an eclipse is used to determine the composition of the atmosphere of the heavenly element that creates the eclipse (in our case, that is, the Moon, although it has no atmosphere) light passing through the edge of said body and reflect, the atmosphere light. As was done with Pluto. It also helps, because “cover” the star, to identify exoplanets in distant stars. Lowering the brightness of the star, it is that something is happening ahead. And last, not least, it helps us to better visualize the outer parts of the star in question and know its composition and age more precisely. That things, to serve eclipses besides being beautiful.